Once one of the most popular names in America, Kevin now connotes pariah status in many parts of the world — in Germany, there’s even a disease named after it. Seemingly just a first name that’s fallen out of fashion (save, of course, for its ties to the Jonas Brothers), tracking the rise and fall and rise again of “Kevin” actually reveals many of the hidden societal forces that shape our world. For the time being, however, there’s a safe Kevin haven — Estonia. In a land where other people are named Tiit, Peep, Slava, and Rasmus, Kevin is safe and sound. The name’s slower rise in usage compared to Western Europe, as well as the relative popularity of the U.S. in NATO-protected areas, could be giving Kevin a much-needed helping hand; from 2012 to 2014, Kevin was in the top 25 names for popularity in Estonia, reaching as high as number four in 2013. Kevin even has a name day in Finland, just across the water: it’s November 7. How did this happen? In a country with 1.3 million people, almost 2,000 of them are named “Kevin”? Let’s turn to science for some answers. The Simmel effect holds that individuals are inclined not only to follow, but also to distinguish themselves from others. Simmel, a philosopher and essayist born in 1858, whose interest in money and fashion endeared him to popular audiences, saw this effect as both as an abstract concept that generates and influences cultural perception, and as a defining factor in social and interpersonal relations. People adopt higher-status symbols and discard lower-status ones in an endless flux as social norms change and group membership or individualism is prioritized. Like your mother understood, the urge to fit in is a strong one, but we’re also sometimes compelled to buck the tide. This has repercussions for every cultural trend, but it’s particularly salient for the naming of children. Unlike, say, clothes, children’s names are not advertised or marketed; there’s no price difference to factor into their selection. Only cultural pressures and individual identity are at play, which makes names an ideal marker of cultural evolution, or the ways society grows and changes. Quantitative studies of cultural evolution have uncovered many patterns, including how the speed at which something becomes popular is related to how long it will endure. We intuitively understand this phenomenon as a “fad” — with a boom and bust cycle — rather than as something that grows slowly over time, followed by a decline. Names are a strange beast, though; they can be quickly adopted, but their effects and perception over a lifetime are less certain. A child’s name can be a high-status symbol at the time of his birth, but it’s not so easily traded out when the trend ends. In an interconnected world, symbols and social pressures reverberate across the globe. People around the world still enjoy American cultural exports, even as they reject our foreign policies. The detritus of American culture finds itself re-imagined in all kinds of ways across the ocean. In Norway, the phrase “Der var helt texas!” (“That was totally Texas!”) means something crazy just transpired. Norwegians also call a wild sporting event “Hawaii football,” and rapid economic expansion is referred to as a “klondike.” In Estonia, the Lone Star State-inspired word teksased refers to the pants of the masses — American jeans. Pop culture references, clothing styles, and even names rise in popularity in the United States, and then consequently crash and are reborn elsewhere. Unlike your apparel, however, your name sticks with you for life. At the nexus of globalism, status markers, and the Simmel effect, we find the case of “Kevin.” Originally anglicized from an Irish name, Kevin is best-known today as American. The treatment of Kevin around the world is no good — but it’s not as simple as a general disdain for American names, either. Thirty years ago was a great time to be an American Kevin. The 1960s were the heyday of the name, with more than 261,000 Kevins born in the United States in that decade alone. By the 1980s, Kevin adoration was in full bloom. Kevin Spacey and Kevin Kline dominated the screen, and Kevins were in every classroom and on every corner. We watched Kevin Arnold on The Wonder Years and Kevin Bacon in Footloose. Everyone was crushing on Kevin, and he was loving every minute of it. The name remained on the list of the top twenty names from 1959 to 1979. In the 1990s and 2000s, though, Kevin took a dark turn. The Goo Goo Dolls’ instrumental “Kevin’s Song” was dedicated to a friend who died of addiction, and Kevin McCallister was left Home Alone to deal with bumbling burglars. Bad Kevins began to emerge, like Britney Spears’ partner K-Fed, and perhaps most infamously, a school shooter in the film We Need to Talk about Kevin. The popularity of the name began to plummet in the United States. In Western Europe, though, thanks in part to American films and television being released later overseas, Kevin was ascending. In France and Germany, for example, Kevins surged in popularity in the 1990s, inspired by Dances with Wolves star Kevin Costner. But America’s pop culture hegemony was diminishing, and with it, the love of Kevin. In addition, people were increasingly considering a name’s effect on its owner and that names have consequences. So what are the implications of being a Kevin in Berlin today? Well, not so great. Kevin Misener from Toronto was thrilled with the research, saying, “Finally! This explains what happened to me in high school. My lack of dates was a result of revulsion to my name, not necessarily to me!” The anti-Kevin sentiment is real, and still alive today, if Reddit is to be believed. 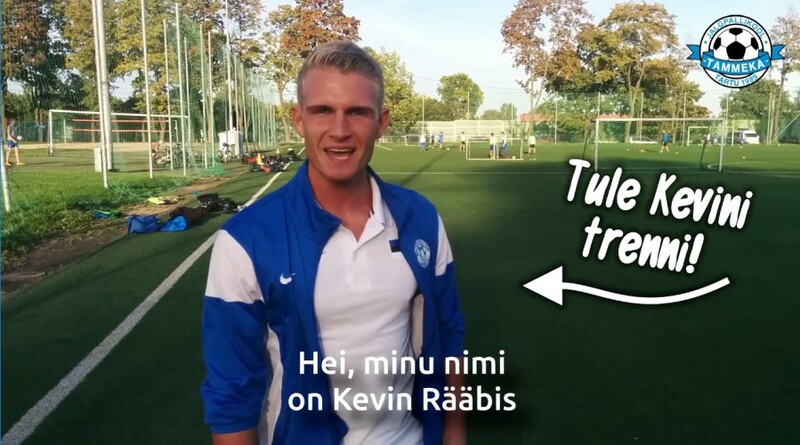 To help understand the perception of Kevin in the east, I interviewed several local Estonian Kevins and their parents. Per the Simmel effect, were Kevin’s parents differentiating from Estonian names or seeking an in-group internationally? Some of both, it appears. The mother of a 5-year-old ethnically Russian Kevin explained that her husband proposed the name, since Home Alone was one of his favorite movies and she liked the “gentle” and “international” sound of it. She continued that there was no pressure nowadays to use traditional names, and their families reacted positively to their choice. “Kevin is in fact quite popular (or at least has been some time ago) among Estonian families . . . That is why it does not sound uncommon,” she told me. She personally knows at least two other young Kevins and has heard of even more. For her, the name hits a happy note of sounding familiar, but international. The Kevin crash may be coming, however. Nina O., a Russian mother, notes that she “regrets naming her son Kevin and not Alexander,” because he now goes to school in Austria. His name is causing problems with his teacher, who just doesn’t like the sound of it. Also, as relations become strained between Russia and the West, choosing international names for new babies — especially American ones — can be loaded. Some Russian parents in Estonia may be even more strongly drawn to names that are not identifiably Russian, while others may decide that there is safety in tradition. As parents turn from duplication to differentiation, the search will be on for the next marker to give their children the boost they need. How Kevins fare in Eastern Europe will depend on multiple factors: whether their ascension has been slow enough to avoid a quick crash, whether the name is viewed as a marker of individuality or part of a crowd, and even, perhaps, global politics. Erin Crouch has a son and his name is not Kevin. She lives in Portland, Oregon and Tallinn, Estonia.